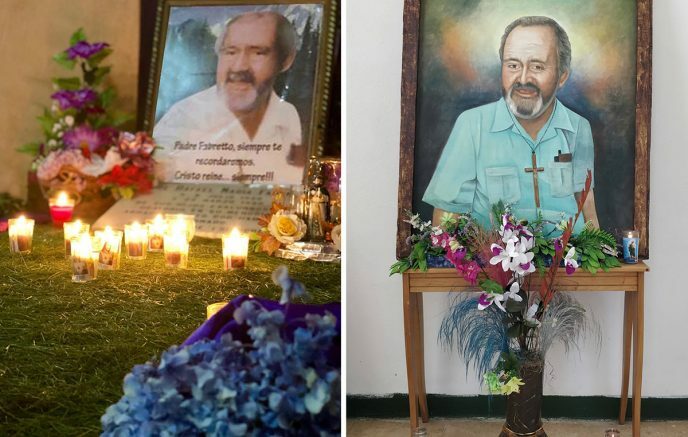 The Nicaraguan National Lottery (LOTO), further demonstrated their commitment to educating the future this past Tuesday, November 27. 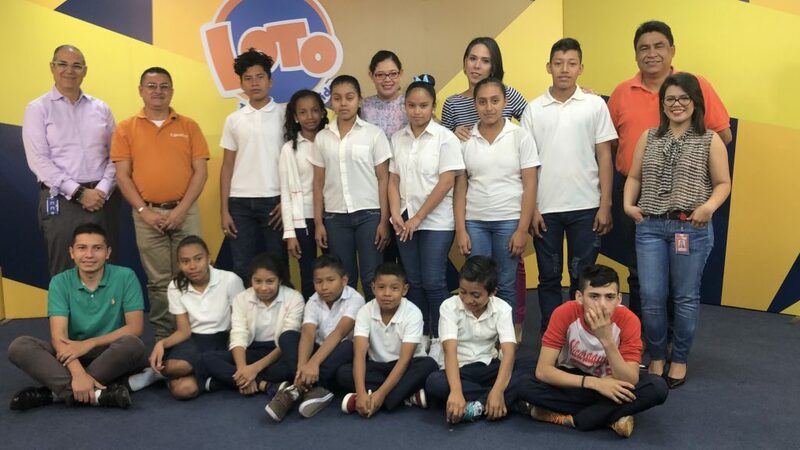 At the beginning of the year, LOTO through its Corporate Social Responsibility initiative granted 13 youth with scholarships for Fabretto Children’s Foundation’s SAT Technical Education Program. Now that the first school year has been completed, those students had the opportunity to share their experience with their sponsors. In Nicaragua, close to 30% of adolescents aged 15-24 do not have the resources to access secondary education. Thanks to LOTO – through our SAT Program – 13 underserved adolescents not only have access to quality secondary education, but also technical vocational education. Technical vocational education enables young people and their families with the necessary skills to develop and sustain their livelihoods that allow them to break the cycle of poverty. 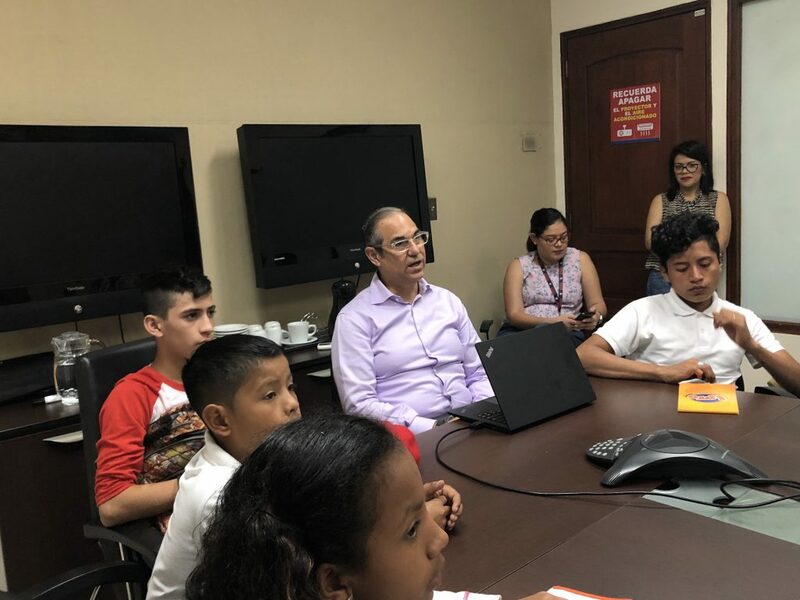 The 13 student beneficiaries along with their tutor and the Director of Fabretto Education Center of San Isidro de Bolas, Ramón Montalván, were welcomed to the LOTO Headquarter by General Manager, Gustavo Ayón and LOTO staff. There, each child enjoyed a delicious snack to start the day off. 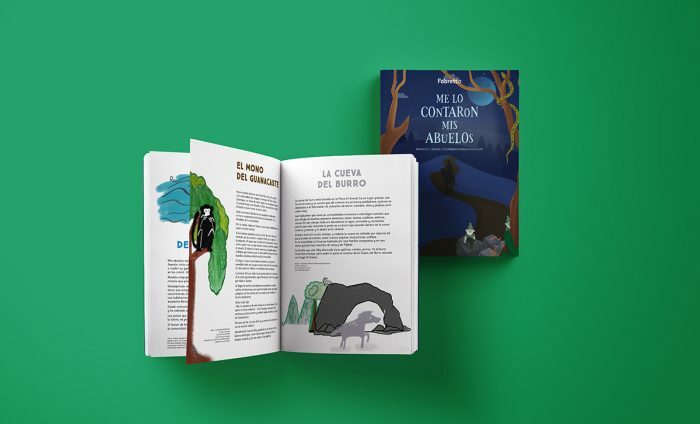 They each got to share their experience with their sponsors, and Ayón also shared inspiring tips and life experiences with the young adults. “The LOTO scholarship will help me with a lot of things. I would first like to finish the SAT high school program and become a mechanic one day. Because of the country’s current situation both my parents are out of work and as their only child I would like to help my family. My studies will help me and my family break out of poverty,” said 12-year-old Jeremy. “Education will help me achieve my goals. I would like to be a doctor one day. My parents are farmers and now thanks to the scholarship and Fabrettos SAT program I have the opportunity to show them new farming techniques to better their crops. I am thankful for the scholarship because my parents no longer have to worry about the costs of providing me with good education. It takes a burden off their shoulders,” shared 13-year-old, Nadelin. 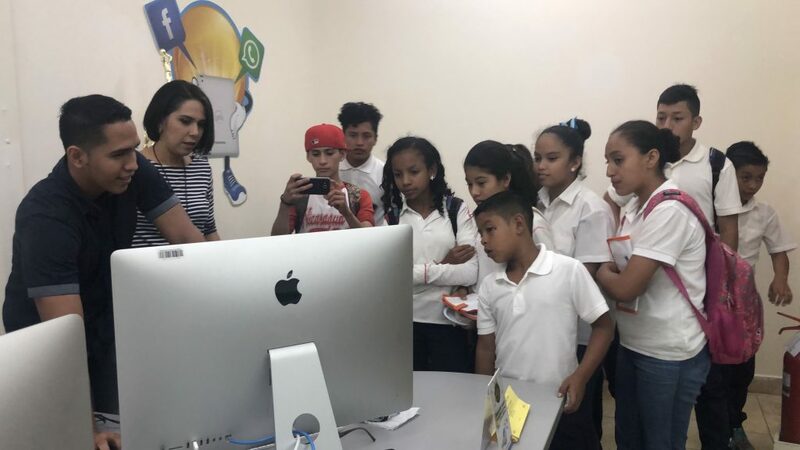 After each student shared their personal experience, Claudia Gutiérrez, LOTO Manager of Corporate Affairs gave the 13 students a tour through the offices. The students had a chance to meet their dedicated sponsors and LOTO employees, and ask questions about working in different areas of the company. Following the tour the students accompanied Claudia Gutierrez, Gustavo Ayón and other employees for lunch. Thank you LOTO for your continued support and commitment by empowering Nicaragua’s future leaders through quality education. 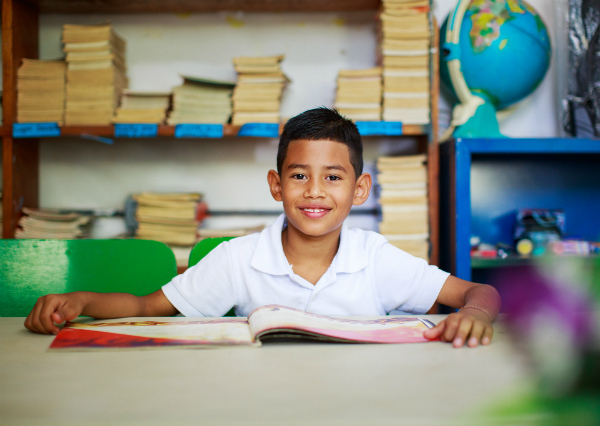 If you would like to help children and youth in Nicaragua break the cycle of poverty, please consider joining Fabretto’s child sponsorship program today. You have the power to change lives.